Feeling down after the festivities of Christmas? We offer some tips to help you get back in the swing of things. 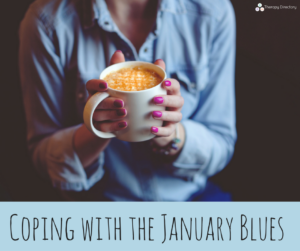 For many, January can be a grey, uninspiring month. Once the fun of Christmas is over, New Years parties come to an end and we all have to return to work, life can feel as if it’s lost its sparkle. On the flip side, the great thing about January is that it represents a clean slate. Our advice is to try and hold on to that motivation and establish a new routine that will bring you joy all year round. We’re big believers in developing a morning routine that sets you up for success. If yours isn’t working for you, take a look and give it a little rejig. Embrace slow living and keep your mornings as stress free as possible. This may mean waking up earlier so you aren’t rushed, so ensure you go to bed a little earlier to compensate. Going back to work is a reason many of us dislike January. Even when you enjoy your job, getting back to the daily grind can be tough at first. Think about where you would like your career to go this year – what steps do you need to take to get there? Write your career goals or intentions in a list and keep it pinned up where you work or somewhere else where you’ll see it every day. This will serve as a reminder to help you feel more motivated in the workplace. Having a few rituals that bring you happiness is key to bringing more joy to your everyday life. Note down a few and plan to do at least one every day. The rituals could be as simple as making a great cup of coffee every morning, reading a book after work, going for walk on lunch or practising yoga at the weekends. When you carry out these actions, try to cultivate a sense of gratitude at the same time – appreciating what you have is an easy way to lift your mood. How do you cheer yourself up when you’re feeling low? Let us know in the comments below!